We have promotional ideas to make the most of food & alcohol sales, for Valentine’s Day! If you are a restaurant, likely you are already thinking about planning a special menu or promotion for Valentine’s Day. In fact any gimmick that you come up with could be the ticket to romance, a proposal – or hopefully – a lot more business. If you have an especially romantic setting, why don’t you just step it up a notch and OFFER a proposal package? Marriage proposals are good for business – in fact it excites the staff and lifts the mood of the entire restaurant. The Commander’s Palace in New Orleans gets a proposal every week or two. The good news for your restaurant? The happy couple will likely become regulars for the rest of their lives! Today’s proposals are becoming larger than life – and many women are popping the question, these days. Things aren’t typical, anymore, when it comes to love and marriage. We already know that your customers are going to spend more money on Valentine’s Day than any other Saturday night – so let’s make this Valentine’s Day absolutely fabulous. What can your restaurant do to offer a romantic, once-in-a-lifetime moment? Well, before we answer that, remember to factor in your food/beverage ratio: Pair special adult beverages with your food items, for one price, but make sure to separate food and alcohol sales for compliant record keeping. For example: 1 bottle of wine, 2 entrées, sides, 2 desserts for $125. TIP: don’t discount any alcohol, after 9pm! Pauli’s in Boston actually includes the diamond in their offer. A princess-cut diamond tucked into the bun for $3,000. That is a BBQ sandwich she’ll love forever! Can you think of a creative way to add a diamond or a “Will you marry me?” card to the meal or evening? Offer a special “Will You Marry Me?” dessert with room on the plate for a ring box (that they bring, themselves). Offer appetizers that are typically categorized as aphrodisiacs (i.e. oysters and strawberries). Offer a fixed menu for Valentine’s Day with simple choices, all courses included. Upserve suggests eliminating gender pronouns – including all that want to be romantic, this Valentine’s Day. Include a nearby couples massage Spa Package as part of the dinner package. Include a hotel stay, at a nearby hotel, in your dinner package. Include a flower on each plate, for the first course. Have a professional photographer, on hand, to capture the moment. Include a bouquet of flowers for the bride-to-be. Bring in especially romantic music – even a pianist or a harpist can make things romantic, if you don’t have room for a jazz band. Start advertising today! Advertise your promotion on all social media channels. 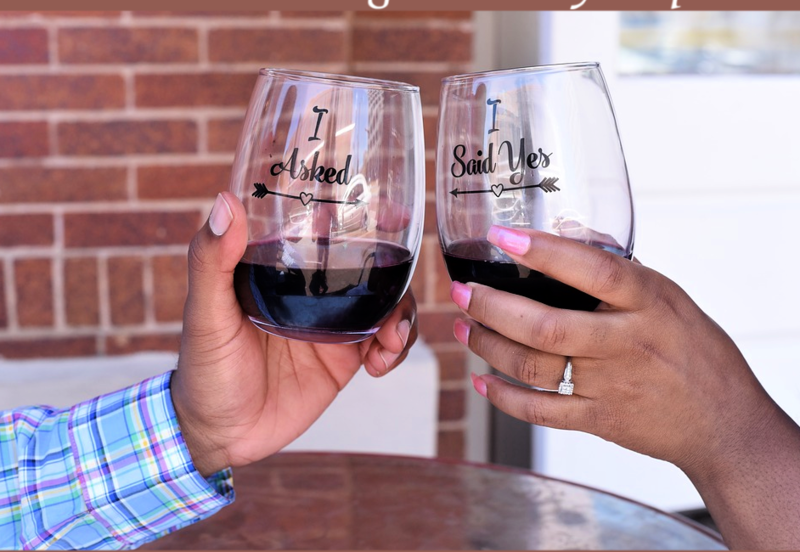 To get the romantic juices flowing – publish your menu, now and consider taking a photo of a romantic table with the “Will You Marry Me?” dessert plate, in your restaurant. Price your Proposal Package menu, now – so that he has time to get the ring and make a reservation. Make sure that your staff is on high alert – giggling or gawking can really ruin a romantic moment. Have staff practice the “Poker Face” – that way no one is tipped off, made to feel uncomfortable for a “no!” or by congratulating too early. Virginia Alcoholic Beverage Control Application Processing – ABC Consulting processes any alcohol licensing for you. You can rest assured that all the documents needed for Virginia ABC approval will be reviewed by our experts before presenting the package to Virginia ABC. Our experts will find and correct any issues before submitting the application to Virginia ABC. This results in a quicker license approval. You will not be surprised to know that documents needed for approval are not always indicated on applications. We know what is needed for approval. We are also the first to know of changes in the approval process. BREW ™ T.O.A.S.T. VA ® – The Operational Alcohol Standards Training of Virginia was developed by Crystal E. Stump, a former Virginia ABC Special Agent and now CEO of ABC Consulting. The program has been certified by Virginia ABC. This training course is presented from the unique perspective of an ABC Special Agent. The program includes in-depth training of the regulations, the ability to spot fake ID’s, managing confrontational situations, and instruction on the various programs operated by VA ABC including the underage buyer program. BREW ™ is the same course for breweries and their unique situations. Its certification is now pending. 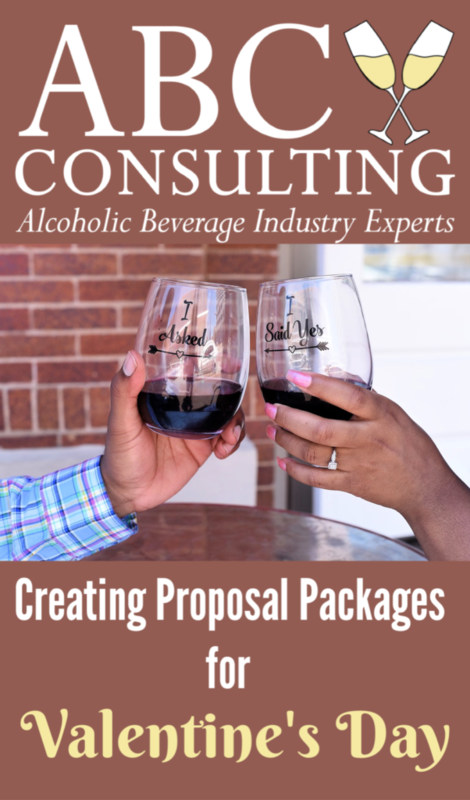 MBAR (Mixed Beverage Annual Review) – ABC Consulting maintains state required food-to-liquor ratio, minimum monthly sales requirements and year end reporting of food and beverage sales for Mixed Beverage clients. Access to Expert Attorneys, versed in Virginia ABC Law – ABC Consulting has developed relationships with premier attorneys who are experts in the field of Virginia ABC law. Hearings and Appeals – Hearing preparation is paramount. Our experts have extensive experience in the court room. We will prepare you for any hearing (whether you have an attorney or not). ABC Consulting is hoping that THIS Valentine’s Day is your biggest, yet.